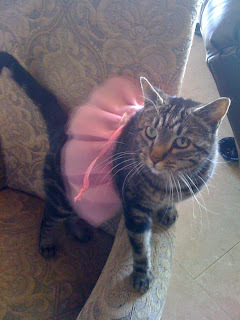 Love and Domestication: Tutu Cute! Today I tried my hand at tutu making and found it insanely easy and customizable. 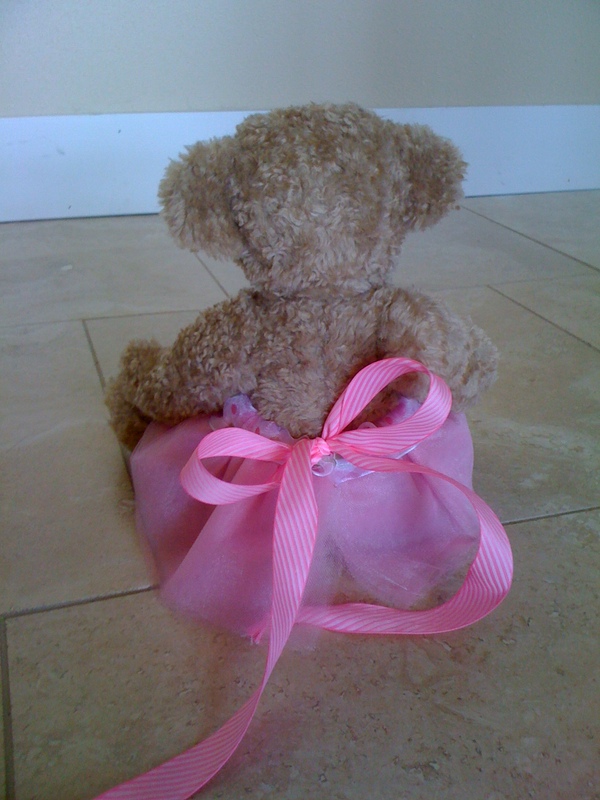 There are endless options here, and I hope you find many ways to make your own wonderful tutu from these basic instructions. 1/2 to 1 yard per color or double that if you only want to use one color (or triple it if you want a super puffy tutu which I recommend now that I've completed this project!) This depends entirely on the size of your child. I bought two half yard pieces (one total yard) to make a tutu for a newborn. Naturally the longer the fabric the more gathers and puff, too. If you want more gathers for a newborn then size up to 3/4 yards instead. I bought a 1/2 inch ribbon for the waist tie but I could have easily done a whole inch. 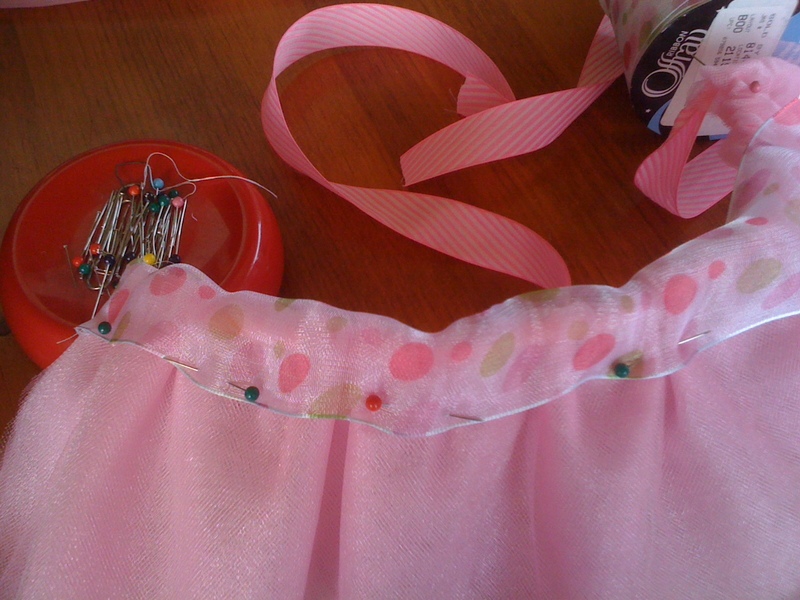 I also bought a 2' ribbon to decorate the waist instead of using fabric which I would have to hem and sew first. You'll see what I mean as you read on through these directions. For threading the ribbon through the tutu. After this is done, take a long piece of your 1/2 inch threading ribbon (I recommend not cutting it until you have it threaded into the tutu) and tape the end to the end of a dowel, knitting needle, pencil or pen. 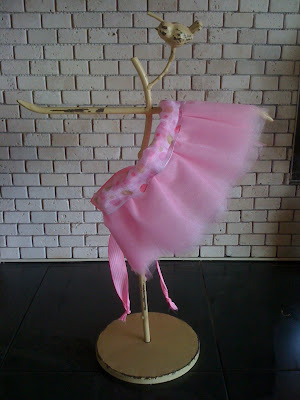 This is now your needle as you thread the ribbon into the loop you just made by sewing the folded edge of the tutu. 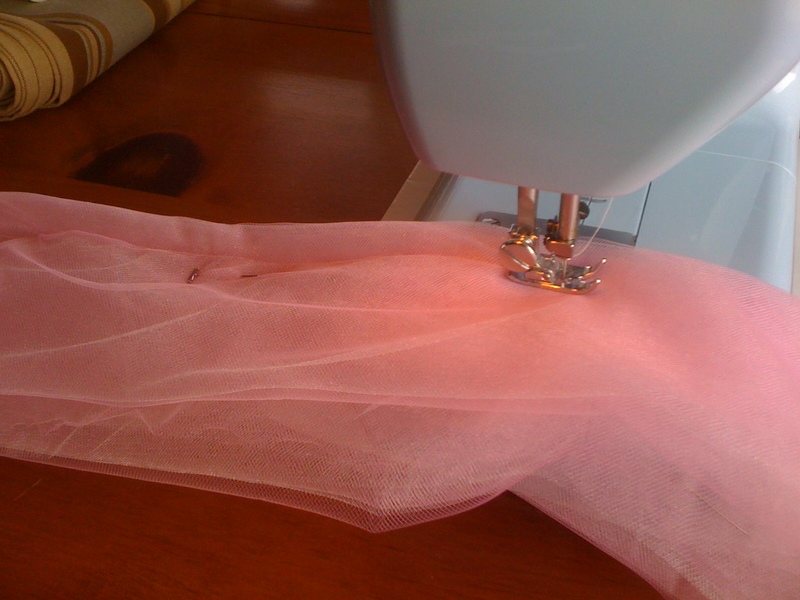 After you have the Ribbon threaded on, you can play around with gathering the tulle to achieve the perfect gather and width you are looking for. 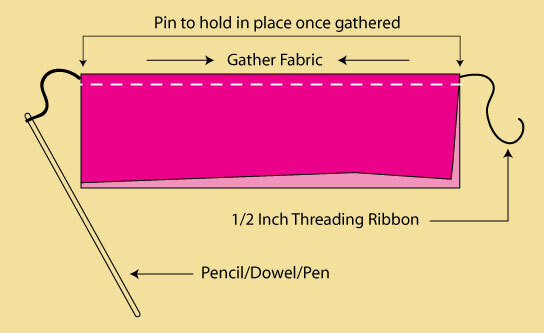 Pin along ribbon to hold it's place. Now we wand to sew those pleats you made and also add the decorative 2" ribbon to the top. All I did for this was pin the 2" ribbon and sew another 1/2'' from the folded edge. I was careful to do this in a way that I didn't sew the threaded ribbon because I liked the mobility of the ribbon, and if I erred on the side of too big with my pleated tulle, I could just scrunch it in more. Once this is done then you're almost finished! The last thing is to cut apart the looped bottoms of your tutu so that they fluff out more. BUT this is also where you could get creative. Instead of cutting open the bottoms you could try adding flower petals and sewing each end instead creating a bubbly tutu with petals! 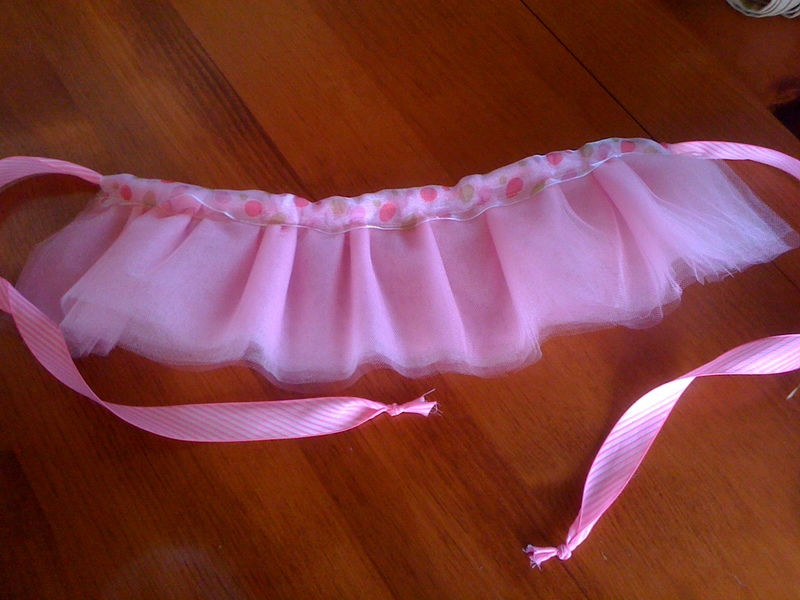 Or you can cut apart the bottoms and make a few random vertical cuts up to the hem and ribbon to add more fluff-ability as your little princess bounces around. Cute, cute! I like that it ties in the back. In My Oven... And I Don't Mean My Belly! Celebrating The Art of Craft! 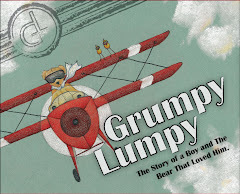 Copyright Abra Ebner and Crimson Oak Publishing. Picture Window theme. Theme images by blue_baron. Powered by Blogger.